I’ve learned on my AbsoluteFIT journey that a setback is just temporary — deal with it and get back in the game. Know how you know you’re old? You pull a muscle in your back, not while lifting or planking or doing push-ups in the AbsoluteFIT studio, but while washing your hair. This happened to me, in fact — last week, two days after I turned 42. 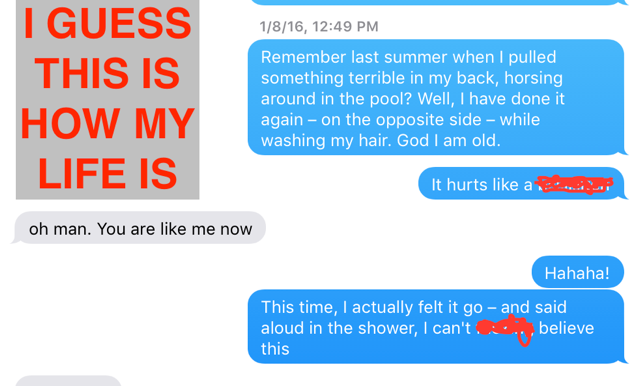 And it hurt SO MUCH (actual text I sent my husband, several days later when the pain still hadn’t receded at all: “it burns! it burrrrrrrrrrrnnnnnnns!”). So I’ve been out of the studio for few days (booooo!). But! 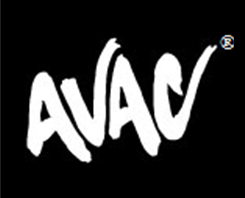 I rested the injury (although I did do several workouts on the stationary bike, for cardio fitness), and I got a massage at AVAC (it was awesome! ), and I feel much better now — ready to get back to fitness (and healthier eating) after this long, lardy layoff; one thing I’ve learned on my AbsoluteFIT journey is that a setback is just temporary, and dealing with things like this is just part of the process, and not a reason to abandon my goals. Onward! Read more of Lydia’s AbsoluteFIT experiences here.